Casey M. Platnich, Amani A. Hariri, Janane F. Rahbani, Jesse B. Gordon, Hanadi F. Sleiman, Gonzalo Cosa, ACS Nano. Dec 2018. Michael D. Dore, Johans J. Fakhoury, Aurélie Lacroix and Hanadi F. Sleiman, Chem. Commun. 2018. Donatien de Rochambeau, Yuanye Sun, Maciej Barlog, Hassan S. Bazzi, and Hanadi F. Sleiman, J. Org. Chem. , 2018, 83 (17), 9774–9786. Tuan Trinh, Chenyi Liao, Violeta Toader, Maciej Barłóg, Hassan S. Bazzi, Jianing Li, Hanadi F. Sleiman, Nature Chem. 2018, 10, 184–192. Katherine Bujold, Aurelie Lacroix, Hanadi Sleiman, Chem, 2018, 4, 495-521. Katherine E. Bujold, Hassan H. Fakih and Hanadi F. Sleiman, Methods Mol. Biol., “RNA interference and cancer therapy”, Springer Nature, 2018, in press. Pongphak Chidchob, Hanadi F. Sleiman, Curr. Opin. Chem. Biol., 2018, 46, 63-70. Xin Luo, H. F. Sleiman, Small, 2018, 14, 1702660. Janane Rahbani, Empar Vengut-Climent, Pongphak Chidchob, Yasser Gidi, Tuan Trinh, Gonzalo Cosa and Hanadi F. Sleiman, Adv. Healthcare Mater., 2018, 7, 1701049. A. Garci, K. J Castor, J. J Fakhoury, J.-L. Do, J. Di Trani, R. S Stein, A. K Mittermaier, T. Friscic*, H. F Sleiman*, J. Am. Chem. Soc. 2017, 139, 16913–16922. N. Avakyan, J. Conway, H. F. Sleiman, J. Am. Chem. Soc. 2017, 139, pp 12027–12034. A. A. Hariri, G. D. Hamblin, J. S. Hardwick, R. Godin, J.-F. Desjardins, P. W. Wiseman, H. F. Sleiman, G. Cosa, Bioconj. Chem. 2017, 28, 2340-2349. D. Bousmail, L. Amrein, J. J. Fakhoury, H. H. Fakih, J. C.C. Hsu, L. Panasci, H. F. Sleiman, Chem. Sci. 2017, 8, 6218-6229. Polymer Chem. 2016, 7, 4998-5003. J. Am. Chem. Soc. 2016, 138, 4416–4425. Nature Chemistry, 2016, 8, 368-376. Press coverage: “A printing press for nanoparticles” McGill, Canadian Chemical News, other sources. 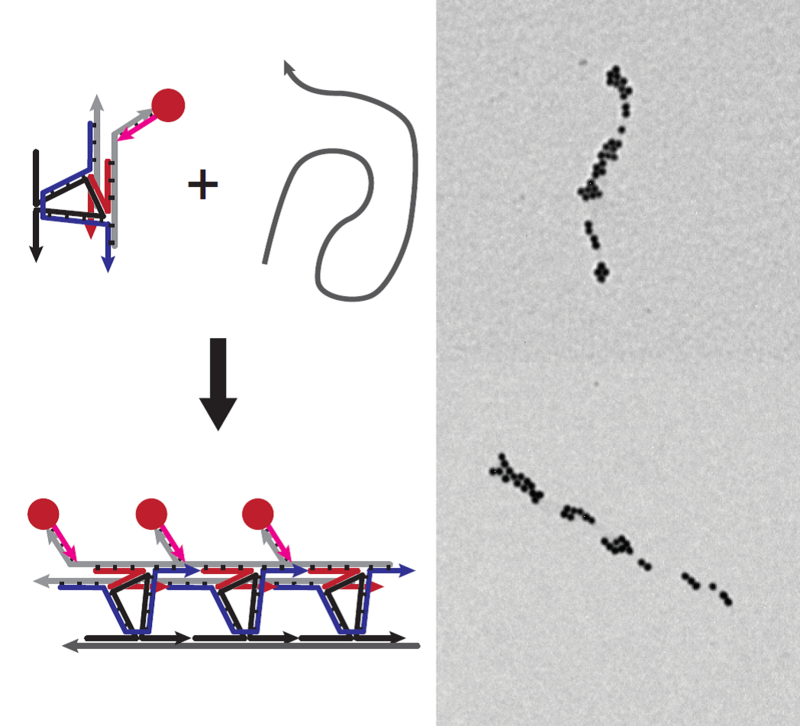 Dynamic behavior of DNA cages anchored on spherically supported lipid bilayers. Conway JW, Madwar C, Edwardson TG, McLaughlin CK, Fahkoury J, Lennox RB, Sleiman HF. Controlled Growth of DNA Structures From Repeating Units Using the Vernier Mechanism. Greschner AA, Bujold KE, Sleiman HF. 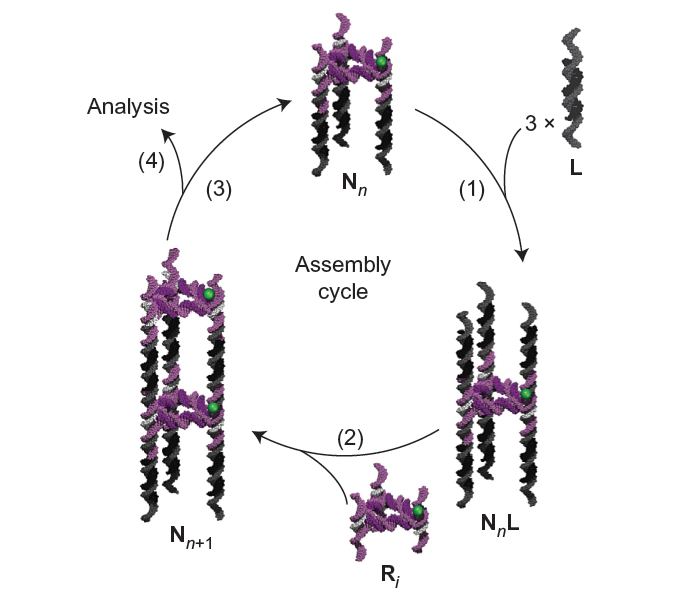 Mechatronic DNA devices driven by a G-quadruplex-binding platinum ligand. Huang YC, Castor KJ, Sleiman HF, Sen D.
An efficient and modular route to sequence-defined polymers appended to DNA. Edwardson TG, Carneiro KM, Serpell CJ, Sleiman HF. 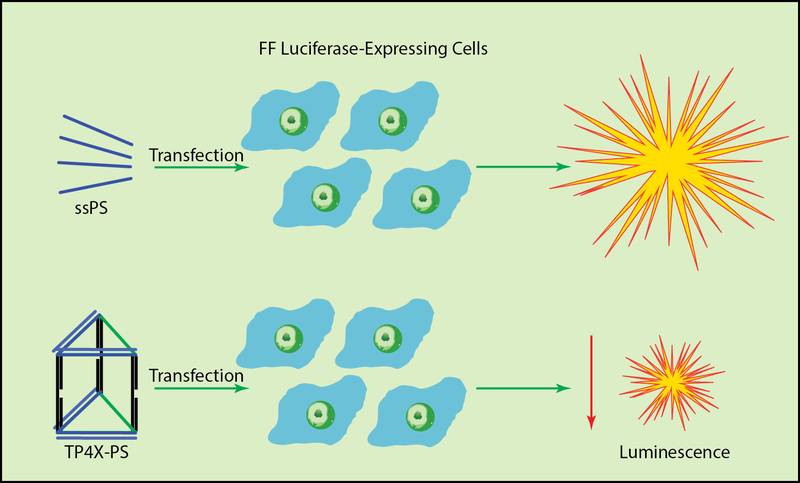 Development and characterization of gene silencing DNA cages. Fakhoury JJ, McLaughlin CK, Edwardson TW, Conway JW, Sleiman HF. Gold nanoparticle 3D-DNA building blocks: high purity preparation and use for modular access to nanoparticle assemblies. Lau KL, Hamblin GD, Sleiman HF. A platinum(II) phenylphenanthroimidazole with an extended side-chain exhibits slow dissociation from a c-Kit G-quadruplex motif. Castor KJ, Liu Z, Fakhoury J, Hancock MA, Mittermaier A, Moitessier N, Sleiman HF. Chemistry, a European Journal, 2013 Dec 23;19(52):17836-45. 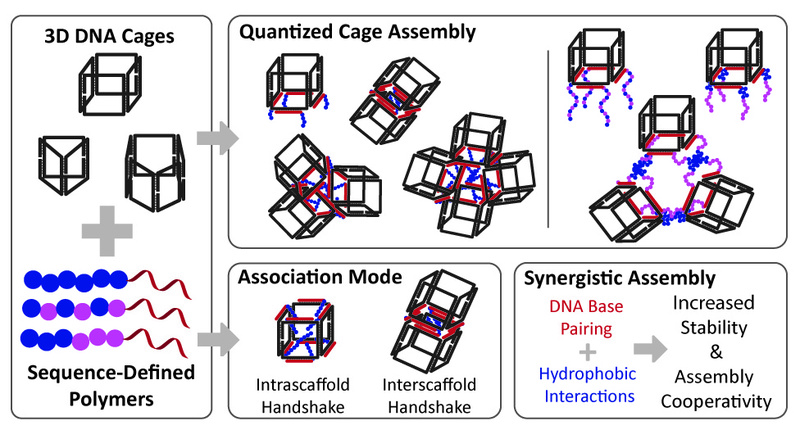 Site-specific positioning of dendritic alkyl chains on DNA cages enables their geometry-dependent self-assembly. Edwardson TG, Carneiro KM, McLaughlin CK, Serpell CJ, Sleiman HF. Electrogenerated chemiluminescence of iridium-containing ROMP block copolymer and self-assembled micelles. Tefashe UM, Metera KL, Sleiman HF, Mauzeroll J.
Langmuir. 2013 Oct 15; 29(41):12866-73. 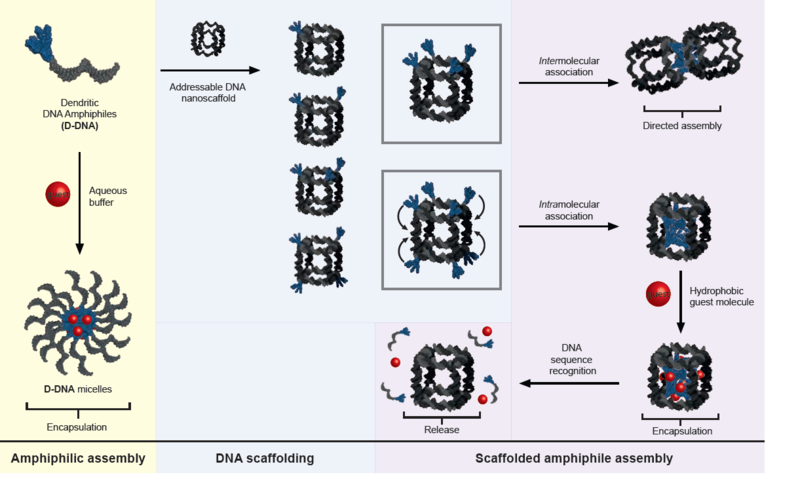 Intercalators as molecular chaperones in DNA self-assembly. J Am Chem Soc. 2013 Jul 31;135(30):11283-8. Long-range assembly of DNA into nanofibers and highly ordered networks. Carneiro KM, Avakyan N, Sleiman HF. Wiley Interdiscip Rev Nanomed Nanobiotechnol. 2013 May-Jun;5(3):266-85. Simple design for DNA nanotubes from a minimal set of unmodified strands: rapid, room-temperature assembly and readily tunable structure. Hamblin GD, Hariri AA, Carneiro KM, Lau KL, Cosa G, Sleiman HF. ACS Nano. 2013 Apr 23;7(4):3022-8. The role of organic linkers in directing DNA self-assembly and significantly stabilizing DNA duplexes. Greschner AA, Toader V, Sleiman HF. J Am Chem Soc. 2012 Sep 5;134(35):14382-9. 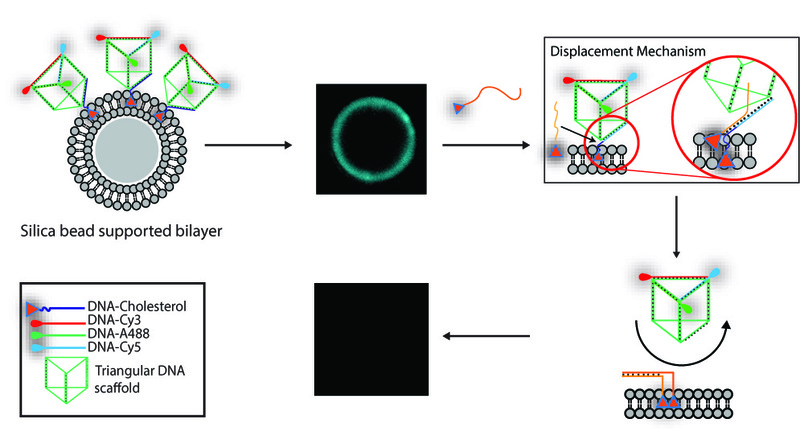 Three-dimensional organization of block copolymers on “DNA-minimal” scaffolds. McLaughlin CK, Hamblin GD, Hänni KD, Conway JW, Nayak MK, Carneiro KM, Bazzi HS, Sleiman HF. J Am Chem Soc. 2012 Mar 7;134(9):4280-6. Hamblin GD, Carneiro KM, Fakhoury JF, Bujold KE, Sleiman HF. J Am Chem Soc. 2012 Feb 15;134(6):2888-91. Erratum in: J Am Chem Soc. 2012 Mar 21;134(11):5426. Platinum(II) phenanthroimidazoles for targeting telomeric G-quadruplexes. Castor KJ, Mancini J, Fakhoury J, Weill N, Kieltyka R, Englebienne P, Avakyan N, Mittermaier A, Autexier C, Moitessier N, Sleiman HF. McLaughlin CK, Hamblin GD, Sleiman HF. Chem Soc Rev. 2011 Dec;40(12):5647-56. Review. 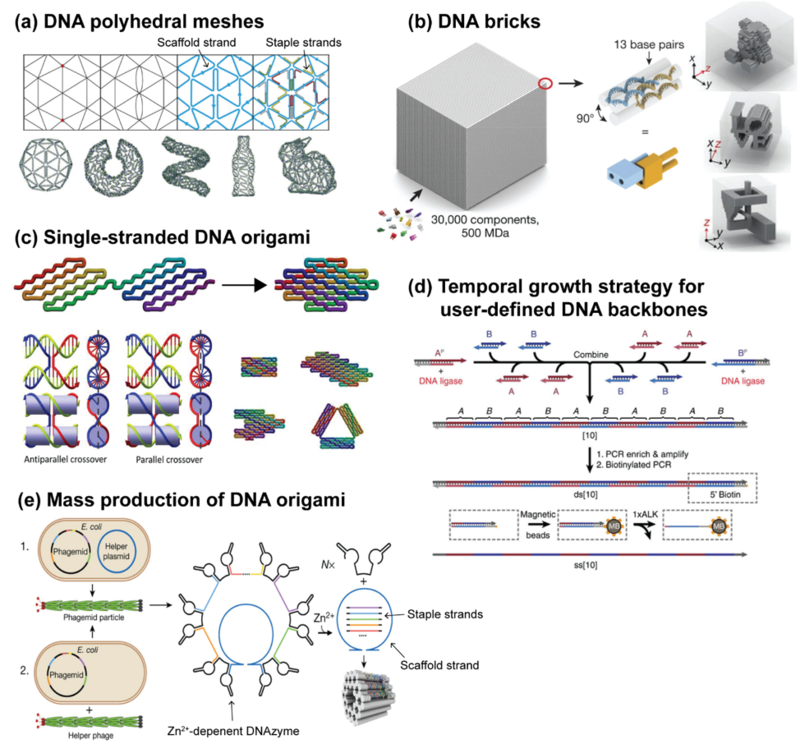 A facile, modular and high yield method to assemble three-dimensional DNA structures. McLaughlin CK, Hamblin GD, Aldaye FA, Yang H, Sleiman HF. Chem Commun (Camb). 2011 Aug 21;47(31):8925-7. doi: 10.1039/c1cc11726b. Epub 2011 Jul 11. Self-assembly of metal-DNA triangles and DNA nanotubes with synthetic junctions. Yang H, Lo PK, McLaughlin CK, Hamblin GD, Aldaye FA, Sleiman HF. Methods Mol Biol. 2011;749:33-47. doi: 10.1007/978-1-61779-142-0_3. 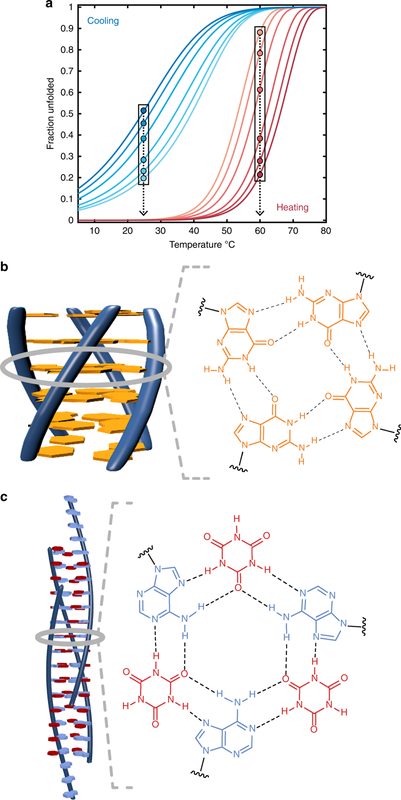 Chiral metal-DNA four-arm junctions and metalated nanotubular structures. Yang H, Altvater F, de Bruijn AD, McLaughlin CK, Lo PK, Sleiman HF. Angew Chem Int Ed Engl. 2011 May 9;50(20):4620-3. doi: 10.1002/anie.201007403. Epub 2011 Apr 26. No abstract available. 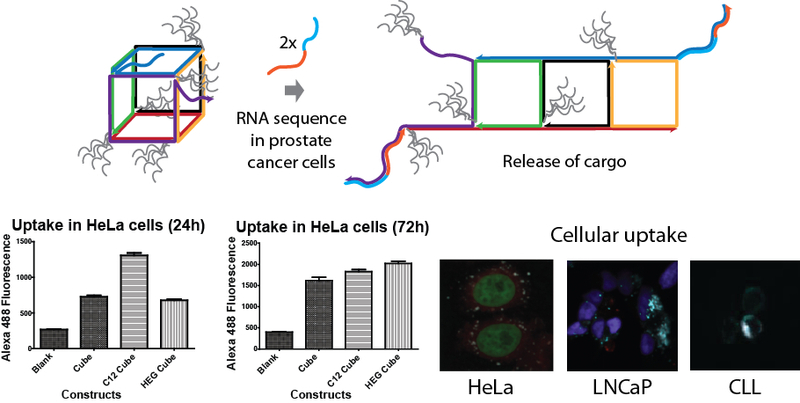 Loading and selective release of cargo in DNA nanotubes with longitudinal variation. Lo PK, Karam P, Aldaye FA, McLaughlin CK, Hamblin GD, Cosa G, Sleiman HF. Nat Chem. 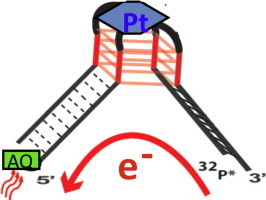 2010 Apr;2(4):319-28. doi: 10.1038/nchem.575. Epub 2010 Mar 14. 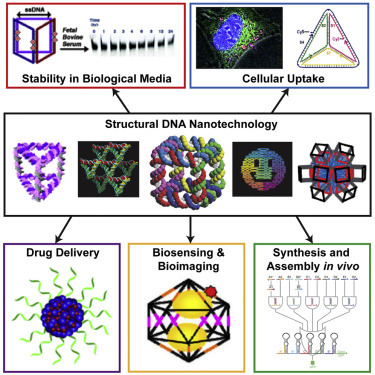 Self-assembly of three-dimensional DNA nanostructures and potential biological applications. Lo PK, Metera KL, Sleiman HF. Curr Opin Chem Biol. 2010 Oct;14(5):597-607. doi: 10.1016/j.cbpa.2010.08.002. Epub 2010 Sep 24. Review. Stable gold nanoparticle conjugation to internal DNA positions: facile generation of discrete gold nanoparticle-DNA assemblies. Wen Y, McLaughlin CK, Lo PK, Yang H, Sleiman HF. Bioconjug Chem. 2010 Aug 18;21(8):1413-6. doi: 10.1021/bc100160k. Templated synthesis of DNA nanotubes with controlled, predetermined lengths. Lo PK, Altvater F, Sleiman HF. J Am Chem Soc. 2010 Aug 4;132(30):10212-4. doi: 10.1021/ja1017442. Carneiro KM, Aldaye FA, Sleiman HF. J Am Chem Soc. 2010 Jan 20;132(2):679-85. doi: 10.1021/ja907735m. Templated ligand environments for the selective incorporation of different metals into DNA. Yang H, Rys AZ, McLaughlin CK, Sleiman HF. Angew Chem Int Ed Engl. 2009;48(52):9919-23. doi: 10.1002/anie.200904186. No abstract available. Yang H, McLaughlin CK, Aldaye FA, Hamblin GD, Rys AZ, Rouiller I, Sleiman HF. Nat Chem. 2009 Aug;1(5):390-6. doi: 10.1038/nchem.290. Epub 2009 Jul 24. Modular construction of DNA nanotubes of tunable geometry and single- or double-stranded character. Aldaye FA, Lo PK, Karam P, McLaughlin CK, Cosa G, Sleiman HF. Nat Nanotechnol. 2009 Jun;4(6):349-52. doi: 10.1038/nnano.2009.72. Epub 2009 Apr 12. Nucleobase-templated polymerization: copying the chain length and polydispersity of living polymers into conjugated polymers. J Am Chem Soc. 2009 Apr 1;131(12):4182-3. doi: 10.1021/ja809613n. Evaluation of binding selectivities and affinities of platinum-based quadruplex interactive complexes by electrospray ionization mass spectrometry. Pierce SE, Kieltyka R, Sleiman HF, Brodbelt JS. Biopolymers. 2009 Apr;91(4):233-43. doi: 10.1002/bip.21130. 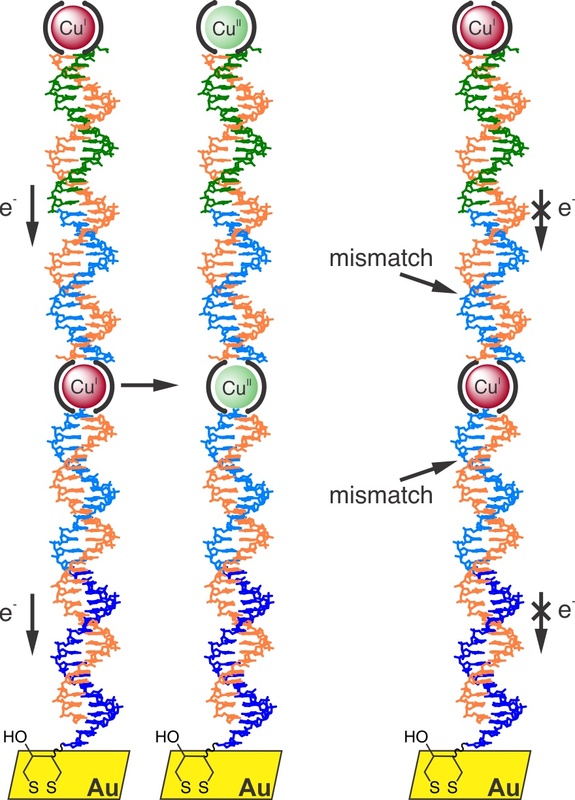 Assembling materials with DNA as the guide. Aldaye FA, Palmer AL, Sleiman HF. Science. 2008 Sep 26;321(5897):1795-9. doi: 10.1126/science.1154533. Review. A platinum supramolecular square as an effective G-quadruplex binder and telomerase inhibitor. Kieltyka R, Englebienne P, Fakhoury J, Autexier C, Moitessier N, Sleiman HF. J Am Chem Soc. 2008 Aug 6;130(31):10040-1. doi: 10.1021/ja8014023. Epub 2008 Jul 11. 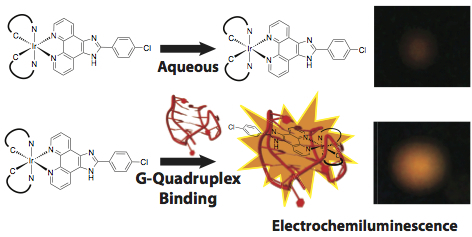 Templated synthesis of highly stable, electroactive, and dynamic metal-DNA branched junctions. Angew Chem Int Ed Engl. 2008;47(13):2443-6. doi: 10.1002/anie.200703741. Platinum phenanthroimidazole complexes as G-quadruplex DNA selective binders. Kieltyka R, Fakhoury J, Moitessier N, Sleiman HF. 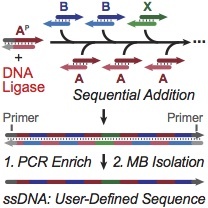 Modular access to structurally switchable 3D discrete DNA assemblies. J Am Chem Soc. 2007 Nov 7;129(44):13376-7. Epub 2007 Oct 16. No abstract available. 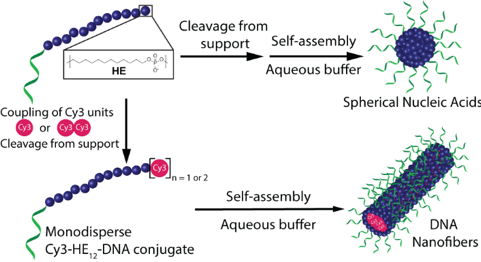 Guest-mediated access to a single DNA nanostructure from a library of multiple assemblies. J Am Chem Soc. 2007 Aug 22;129(33):10070-1. Epub 2007 Aug 1. DNA-protein noncovalent cross-linking: ruthenium dipyridophenazine biotin complex for the assembly of proteins and gold nanoparticles on DNA templates. Slim M, Durisic N, Grutter P, Sleiman HF. Dynamic DNA templates for discrete gold nanoparticle assemblies: control of geometry, modularity, write/erase and structural switching. J Am Chem Soc. 2007 Apr 11;129(14):4130-1. Epub 2007 Mar 17. No abstract available. Ishihara Y, Bazzi HS, Toader V, Godin F, Sleiman HF. Sequential self-assembly of a DNA hexagon as a template for the organization of gold nanoparticles. Angew Chem Int Ed Engl. 2006 Mar 27;45(14):2204-9. No abstract available. 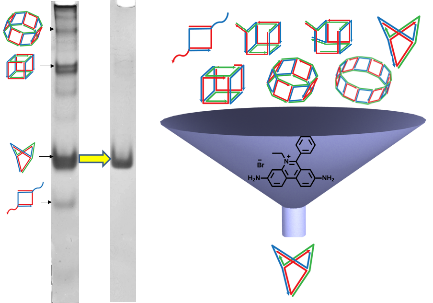 Hydrogen-bond self-assembly of DNA-analogues into hexameric rosettes. Rakotondradany F, Palmer A, Toader V, Chen B, Whitehead MA, Sleiman HF. Chem Commun (Camb). 2005 Nov 21;(43):5441-3. Epub 2005 Oct 4. Self-assembly of cyclic metal-DNA nanostructures using ruthenium tris(bipyridine)-branched oligonucleotides. Mitra D, Di Cesare N, Sleiman HF. Angew Chem Int Ed Engl. 2004 Nov 5;43(43):5804-8. Ruthenium(II)-phenanthroline-biotin complexes: synthesis and luminescence enhancement upon binding to avidin. Ruthenium(II) dipyridoquinoxaline-norbornene: synthesis, properties, crystal structure, and use as a ROMP monomer. Rezvani A, Bazzi HS, Chen B, Rakotondradany F, Sleiman HF. Inorg Chem. 2004 Aug 9;43(16):5112-9. Photoresponsive supramolecular systems: self-assembly of azodibenzoic acid linear tapes and cyclic tetramers. Rakotondradany F, Whitehead MA, Lebuis AM, Sleiman HF. Solid-Phase Synthesis of Transition Metal Linked, Branched Oligonucleotides This work was supported by NSERC (Canada), CFI (Canada) and FCAR (Quebec). The authors gratefully acknowledge Prof. M. J. Damha and his laboratory, McGill University, for helpful discussion. Vargas-Baca I, Mitra D, Zulyniak HJ, Banerjee J, Sleiman HF. Angew Chem Int Ed Engl. 2001 Dec 17;40(24):4629-4632.